Engagement sessions are a total blast and so so special! I want to make sure all my couples have a game plan in action so they can get the most out of their session and walk away not just loving the photos they get after, but being able to see the photos and remember how much fun we had taking those! 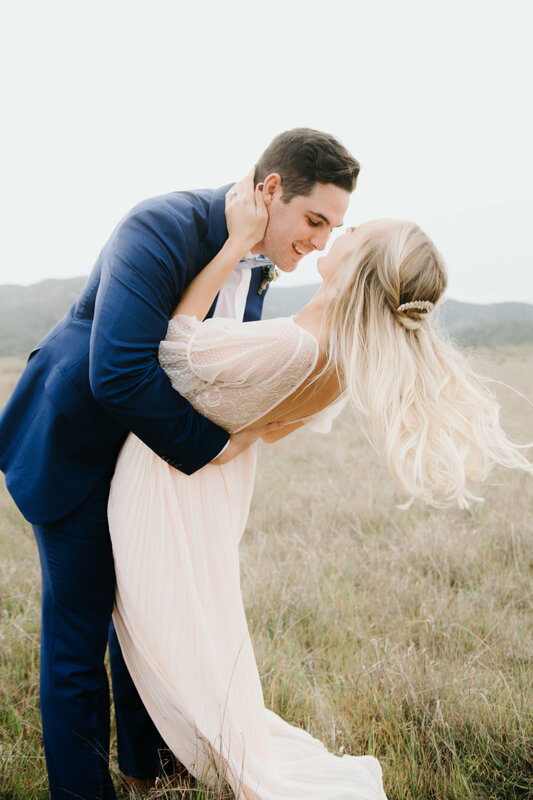 When you’re prepping for your engagement session, there are a few things to keep in mind. Your engagement session is your chance to get to know me, get comfortable with how I work and have FUN in front of the camera. Now don’t get me wrong, your wedding day will be a BLAST! But it’s so helpful to have a great engagement session before the big day so that you know what to expect! My couples that have an engagement session are PROS by the wedding day and it shows! Most couples have two outfits, one dressier and one casual. Normally I ask that you show up in the casual outfit first, and change into the dressier later on. Instead of matching, try to coordinate. This advice goes for any type of shoot. But instead of both wearing a certain color. Shoot for cool tones or warm tones. It also helps to picture how your wedding invite will look. Is it simple and elegant? Maybe shoot for a classic look. Is it bright, unique and fun? Try wearing some bright colors! Stay away from tiny patterns and stripes. These don't photograph well. Bold, solid colors are ideal! If you want to bring props thats great! Some things I've seen that I like are flower bouquets, a guitar, a Letter Board or balloons! My husband Seth does not like his picture being taken. But out of a total act of love, he has been in 5 professional shoots (so far) with me. Its because he knows how much photos mean to me, and so he tries his best. And if I do say so myself he looks very natural and great in them! You know your groom better than anyone else and so only you can help prepare him for this shoot. Make sure you are both on the same page of what type of shots you are comfortable taking and hope to take (and keep me in the loop too!). If your fiance’ is completely unaware of this style of photography, he is going to think it’s really strange when I tell you two to “Nuzzle” or get “Nose to nose”. He’s expecting a few pictures smiling at the camera, showing off the ring and that’s it! So it’s your job to explain to him why you love this style of photography and help him know what to expect! I tell each of my couples this before their shoot: I know this can be awkward and weird, getting all lovey-dovey in front of a camera and a person you might not know. But I don't want you to think of it that way. Just have fun with the person you love! Run around, LAUGH, tickle each other!! I don't want to capture a posed, fake smiling couple. I want to capture your love; the messy, the crazy and the joy! This also goes for all types of shoots. This is really important. What most couples don’t realize is that natural light photographers are 100% dependent on the sun and if their couples show up late, they will lose that amount of time during their session due to the lack of light. Now I realize that things happen beyond out control like massive amounts of traffic and accidents. If at all possible, try to be on time so that you don’t lose any of your shooting time and pretty sunlight! This is going to be a fun memory if you plan it to be! Write your lover a little note of why you love them to read right before the shoot. When you're looking at each other for a shot, whisper "I love you." This will bring true loving emotion into the images! I hope this helps you out before your engagement weather its with me or someone else. 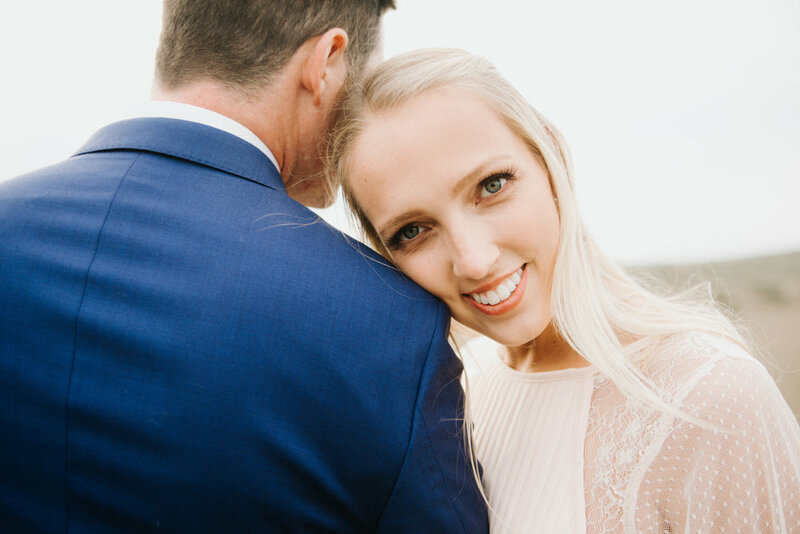 Connection with your wedding photographer is so important engagement photos are a great opportunity to get to know your photographer and see if their style works for you!